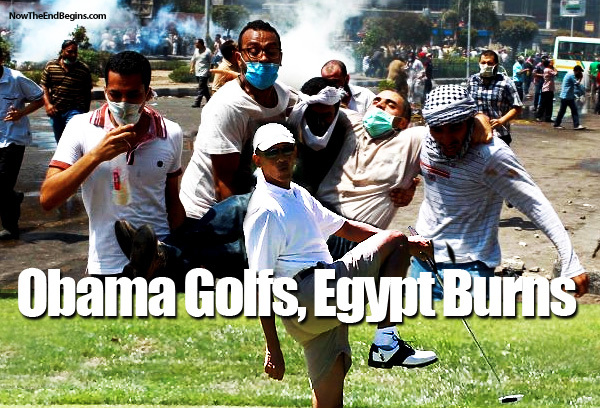 Put it this way: President Obama’s Egypt policy is about as effective as his Syria policy. And for the first time Wednesday, with the number of dead and injured mounting, one could almost envision Egypt’s descent into out-and-out civil war. If the Egyptian military is, as most contend, far more effective than Bashar al-Assad’s troops and makes quick work of former government officials and their supporters, the Muslim Brotherhood problem hardly goes away. Not without justification they will likely conclude democracy is a dead end and will resort to other means to assert their vision for Egypt. The military will have succeeded only in driving MB members to return to violence and terrorism instead of ballots and government ministries.